This isn’t a ‘sit your offspring down and coach them through stand up/surf technique’ article. It’s more an observation piece about inspiration, imparting your passionate vibes and then having your wee ones make their own decision as to whether they want to get involved or not. This is how it’s been for the Plavenieks family and getting our kids into stand up and surfing. For our eldest, Molly, it’s been a road of familiarisation from the start. With me as her dad, and a mum who also participates in many forms of watersports also, she’s been surrounded by colourful boards, paddles and (windsurfing) sails since exiting the womb and coming into the world. On top of this our locale, with 360* of water, and easy access to the beach has only added to this conditioning. That word though conjures up images of pushy parents forcing their kids to like something when they’re blatantly not interested. Yet for our family we genuinely let our kids decide for themselves – even baby Oscar (as much as is possible with a sub-one year old). Asking the question: ‘would you like to…?’ is important. But before I go off on a parenting methods tangent I’ll stop. Suffice to say Molly has had the stimulus she has and that seems to have paid off. The second piece of the puzzle has been increasing her water confidence over time. Having swimming lessons from early on, more from a safety point of view than anything (after all, we live close to tidal waters), has been of high priority. 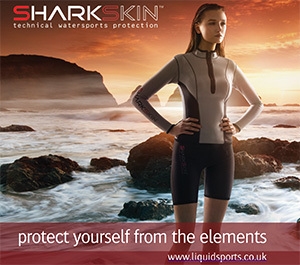 She’s also been for mellow floats on kayaks, bodyboards and SUPs when UK weather has allowed. All of this experience will have been processed and logged in the memory banks. Keeping her play fun is also a must. Trying to get a two year old to actually use a paddle properly, as I’ve seen elsewhere, isn’t a method we’d choose to use. As you can tell from the described those foundations have been laid from the start, leading to a recent overseas trip where something changed and the switch was fully flicked. Now edging closer to four Molly’s imagination was really captured during this particular sojourn. Location is worth thinking about. We ventured back to a quiet nook on Greece’s mainland which we know to be very kiddy friendly due it having an idyllic beach with a sand bank a metre or so offshore. This creates a narrow channel running parallel to the sand with super shallow water the further out you head. Thermometer readings in the 30s also help. Being back in a familiar place with user friendly (inflatable) equipment, courtesy of O’Shea, meant Molly could jump on and off the board as she saw fit. But it was the small breaking wavelets on the sand bank that really helped prick her interest. How many of you have learned to surf? If you’ve gone through the process then you’ll no doubt recall those easy going yellow/blue foamies everyone starts out on. And whilst they’re great I can’t help but wonder why SUPs aren’t used more to teach people to surf. 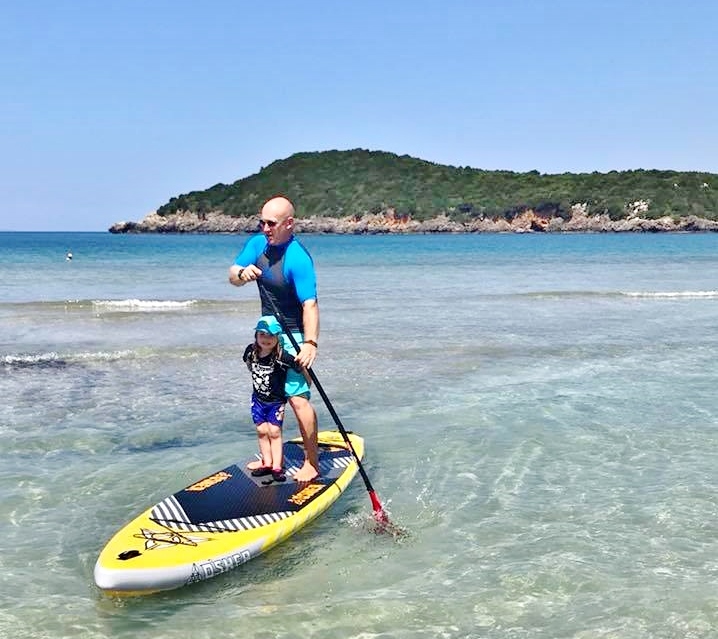 After all, a stand up paddle board will catch the smallest of ripples – even with a fully grown adult aboard – keep its momentum, be wide and stable enough to give riders time to practice their pop up and still be relatively manoeuvrable. As much as foamies are easy iSUPs are even easier to learn these skills. With ankle biters in effect it was simply a case of nudging Molly gently into a roller and encouraging her to stand up. With me, or sometimes my wife, hanging off the back during those first few goes her confidence increased. A few falls into shallow water proved there was nothing to fear should she wipe out. And then it was going it alone. In no time Molly was giggling and asking for more. Repeating time and again saw that muscle memory increase which before long meant she was enjoying her time SUPing/surfing on autopilot. Following that initial first day the bay flattened off but the seed was most definitely sown. Each morning we would be asked if paddle boarding was on the cards. No cajoling from us parents. Instead there was a genuine want and desire to go afloat. We’ve paddled round with Molly in between legs on SUPs before. The difference this time around was there being much more confidence and familiarity with the motion. She also took the paddle on a few occasions, which again is great foundational experience for latter SUP sojourns of her own. After a few days we actually changed location, this time being confronted with much more in the way of a watersports vibe. There were also plenty of other (older) girls showing what’s what on the brine. This just fuelled Molly’s fire further and with a new set of ripples to ride she was in her element. In some cases our little girl would paddle herself into waves. You can see from the accompanying pics just how much she enjoyed it. And the comments from fellow parents and centre staff reflected this. As stated at the start of this article there’s no right or wrong way to get your kids into surfing and stand up paddling. Our journey with Molly has been a purposefully slow burn. There’s never any way to guarantee interest either – they either will or won’t. And it’ll be the same strategy with Oscar. The main point is to not force the issue. And also accept that your offspring may never be that bothered by the same things that interest mum and dad. 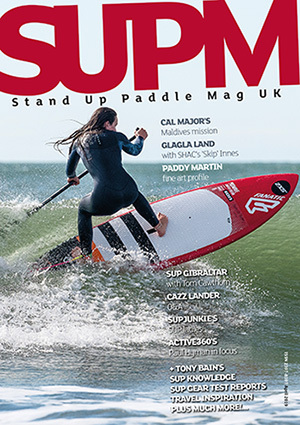 Hopefully though SUP’s stimulus will steer them towards other similar sports. It’s hard not to make an article such as this sound gushing. There’s also more than one way to skin a cat, as the saying goes. Giving your kids opportunity is the most important part, whilst allowing them to decide for themselves whether they want to pursue the activity in question. Slowly, slowly. Softly, softly. 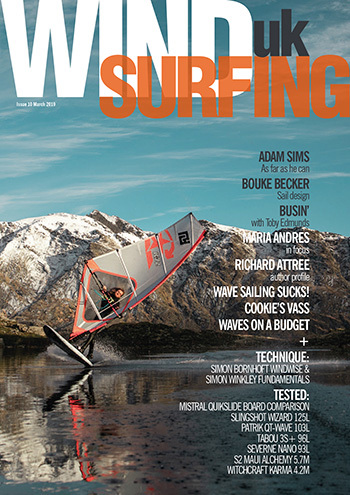 Thanks to O’Shea Surf who helped with this article.